Upon relocating her family to Jacksonville, Florida in 1998, Valerie obtained her securities registration and began her investment career 20 years ago with the securities division of one of the state's largest banks. She later joined a regional investment firm as a registered assistant and then went on to become a financial planner utilizing investment and insurance products for her clients. Ten years ago, she became employed with a major national investment firm serving in various roles including retail trading, training and team leadership, and investment sales. In the spring of 2013, she joined Jax Wealth Advisors as Office Manager, where she manages the day-to-day office details and assists Lee with client interactions. 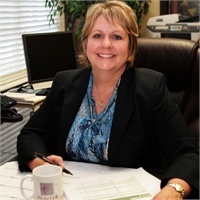 Valerie graduated from the University of Arkansas, Fayetteville, in 1998 with a BSBA in Finance Management. She has two grown sons and enjoys time with her new grandson. She also likes to travel and be involved in animal advocacy.